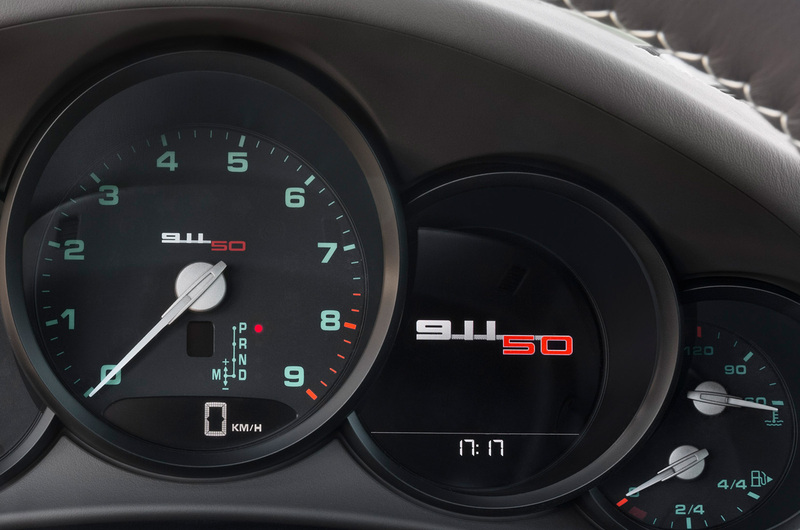 Porsche is celebrating 50 years of its 911 with a special edition version that is scheduled to reach UK showrooms in September. Limited to 1963 units worldwide — 1963 being the year in which the 911 was born — the 50 Years Edition is based on the 395bhp 911 Carrera S.
Mechanical tweaks include a wider body that’s usually reserved for Carrera 4 models, dynamic cornering lights, a specially tuned PASM suspension system and a sports exhaust. 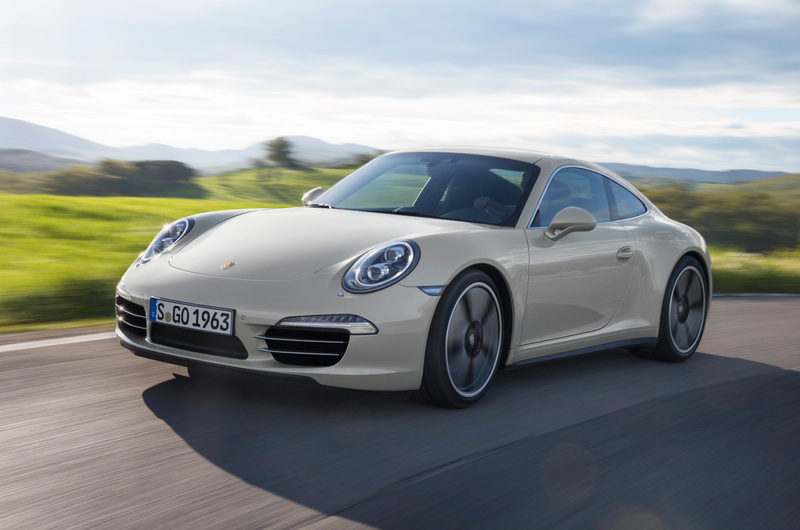 With the seven-speed manual transmission the 911 50 Years Edition can dispatch the 0-62mph sprint in 4.5sec and hit 186mph. 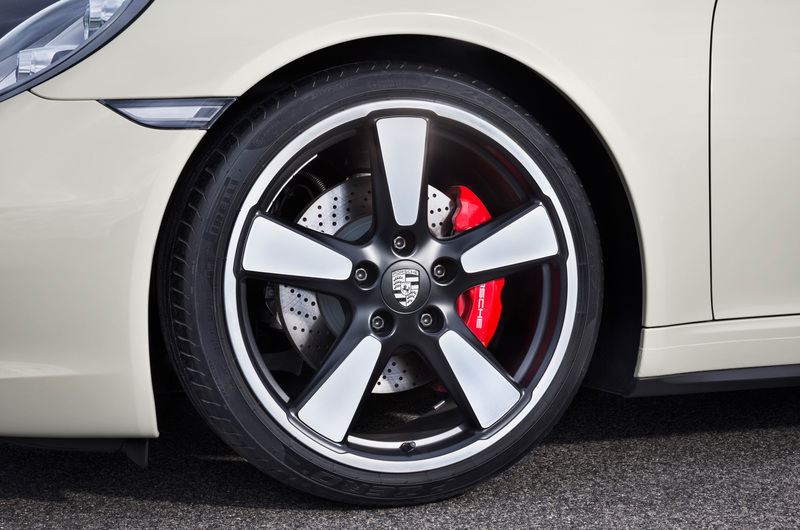 In dual-clutch automatic 'PDK' form, it can achieve 0-62mph in a quicker 4.3sec but reach a slightly slower 185mph. Combined economy is a claimed 29.7mpg and 32.5mpg respectively. 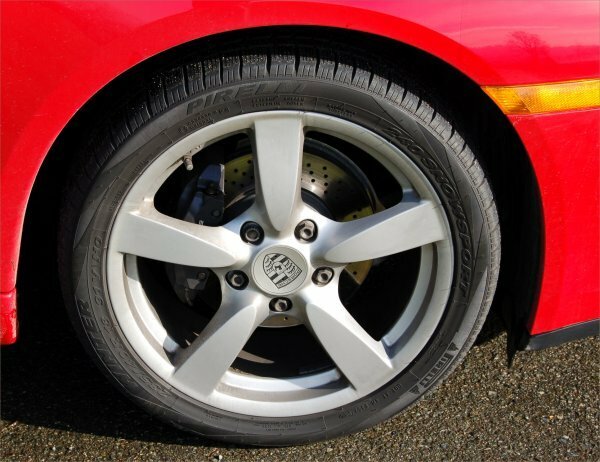 Styling changes include 20-inch five-spoke alloy wheels inspired by the classic Fuchs wheels, special badges, different wing mirrors, two colour choices unique to the 50 Years Edition and bespoke chrome trim. Inside, there are myriad modifications that pay homage to the original 911. The dials are finished in green, with white pointer needles and silver caps on the instrument pivot pins, while the seat fabric is reminiscent of the original tartan design from the 1960s. Additionally, the trim inlays on the dashboard, door cards, centre console and transmission surround are finished in brushed aluminium. Standard equipment includes a limited-slip differential with torque vectoring, 14-way electrically adjustable seats, a 4.6-inch colour sat-nav and media system, climate control and bi-xenon headlights. 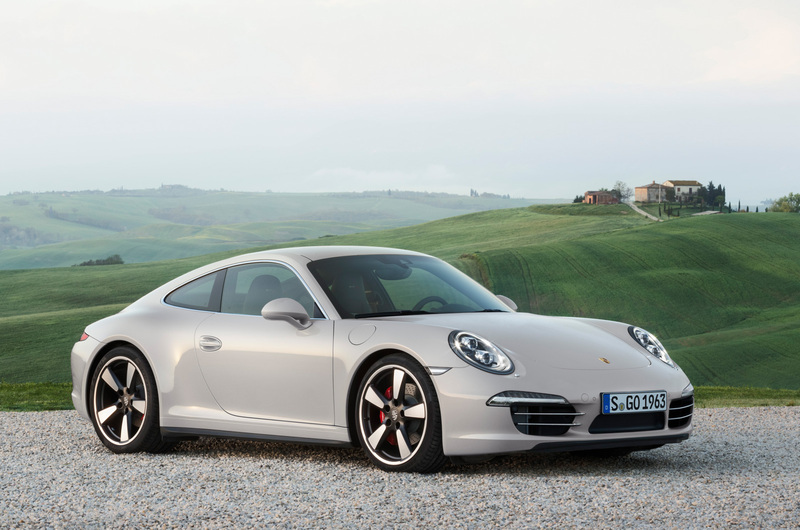 The Porsche 911 50 Years Edition is available to order now, priced from £92,257. The first UK deliveries will arrive in September. 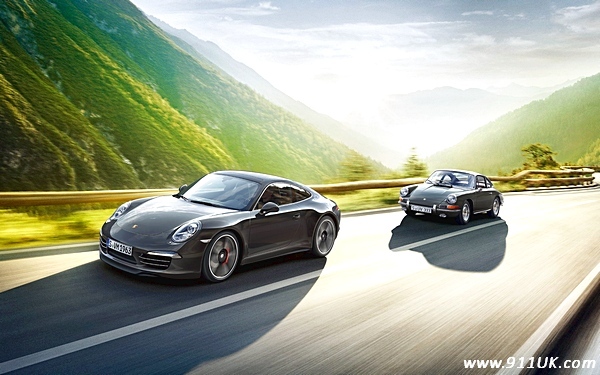 The Porsche 911 resolves apparent contradictions like no other sports car – such as between tradition and innovation or between exclusivity and high social acceptance, and of course between performance and efficiency. 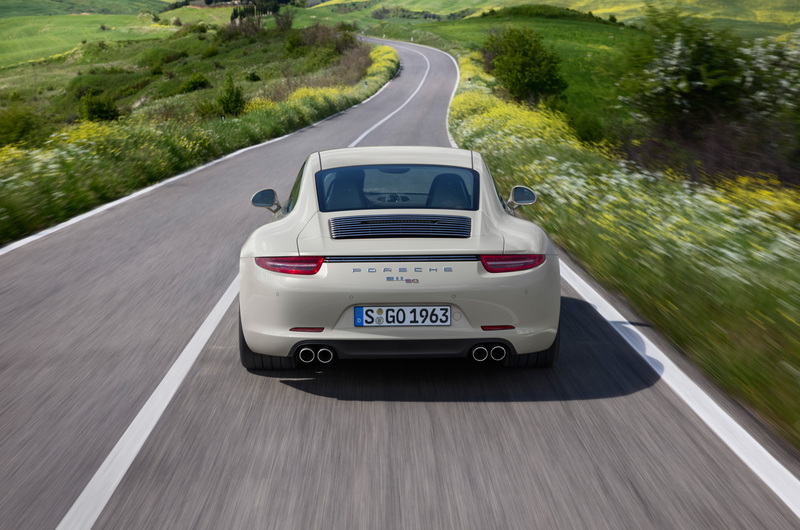 And so, Porsche is celebrating the 50th anniversary of the 911 at the International Motor Show (IAA) in Frankfurt with a special anniversary model based on the 911 Carrera S: like the original 911, the 911 50th Anniversary Edition is a coupé with a flat-six rear engine and rear wheel drive. 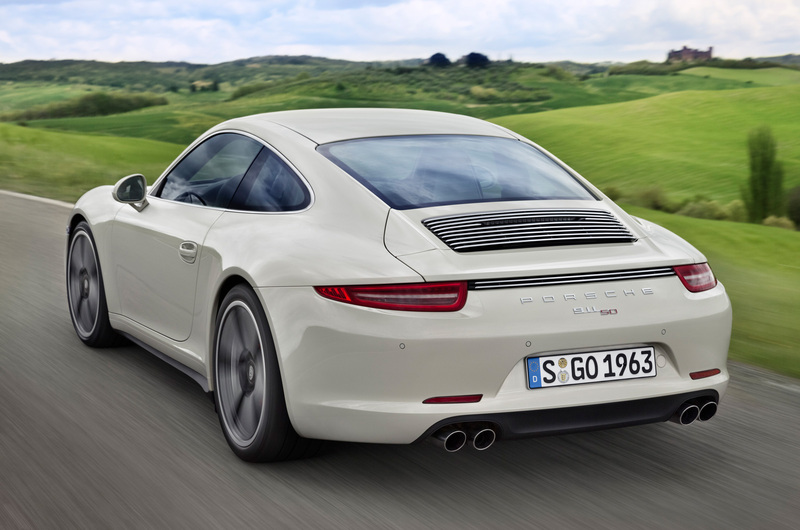 Its efficient performance, active sport suspension – and special body have current relevancy: the anniversary 911 features the wide body, which is typically reserved for the all-wheel drive Carrera 4 models. 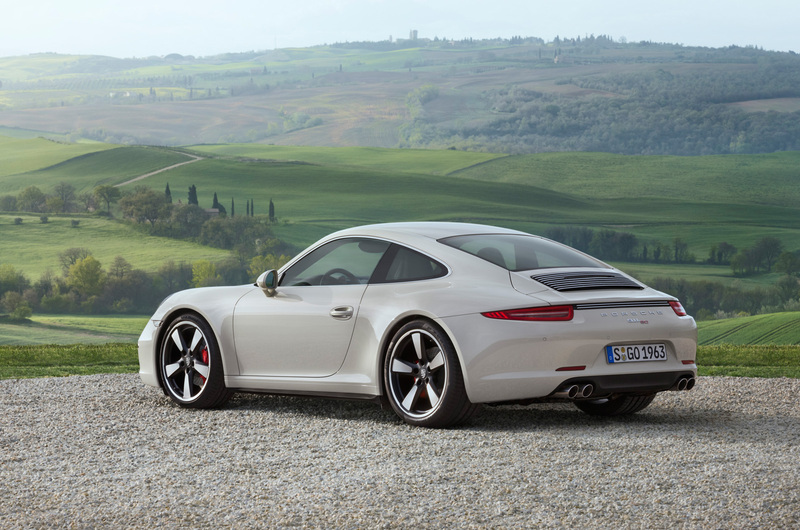 This special edition will be limited to 1963 cars, a number that represents the year of the 911 world premiere. 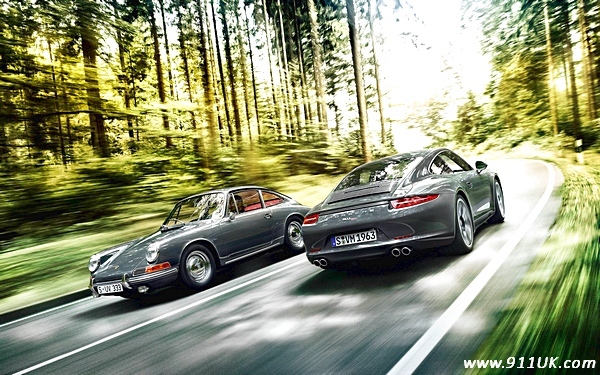 Porsche will present the limited edition model in time for the 50th anniversary of the 911 at the IAA motor show in Frankfurt, which opens its gates to the public on September 12, 2013. In 1963, Porsche presented the original model to the public at this leading international show for the automotive industry. Since its first presentation – initially as the type 901 – the sports car icon has excited automotive fans across the globe, and today it is considered the reference for all other sports cars. Since making its debut in 1963, the model series has progressively developed without interruption. In the process, the unique character of the 911 was always preserved. The result of this evolution over a 50-year period – which included countless race victories as well – is a sports car that fully embodies the authenticity of the Porsche brand. Its DNA is reflected in all Porsche models. 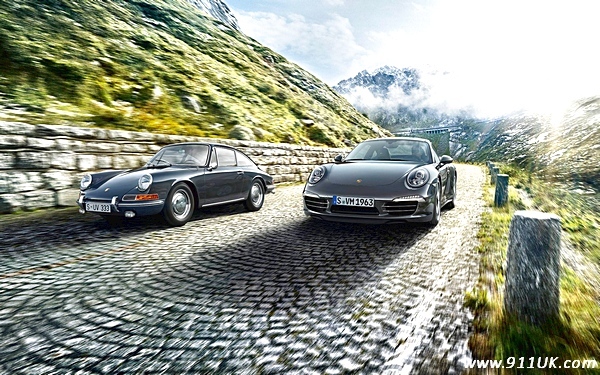 Two unique colours are available for the anniversary 911, a darker graphite grey and a lighter geyser grey metallic. In addition black monochrome is also available. 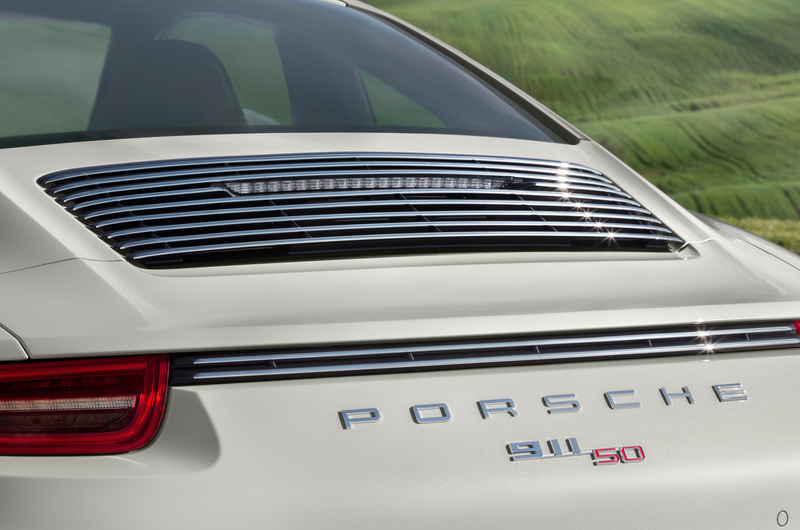 Each of the cars has a two-tone 3D-effect badge on the rear lid with the numbers “911 50”. This is repeated in three colour embroidery on the headrest and in two colours as a logo on the tachometer and the aluminium door sill plates. It can also be found on the cup holder panel  together with the limited edition number of the individual vehicle. Other exterior characteristics of the special model are high-gloss window frames and sport design exterior mirrors on the doors panels. 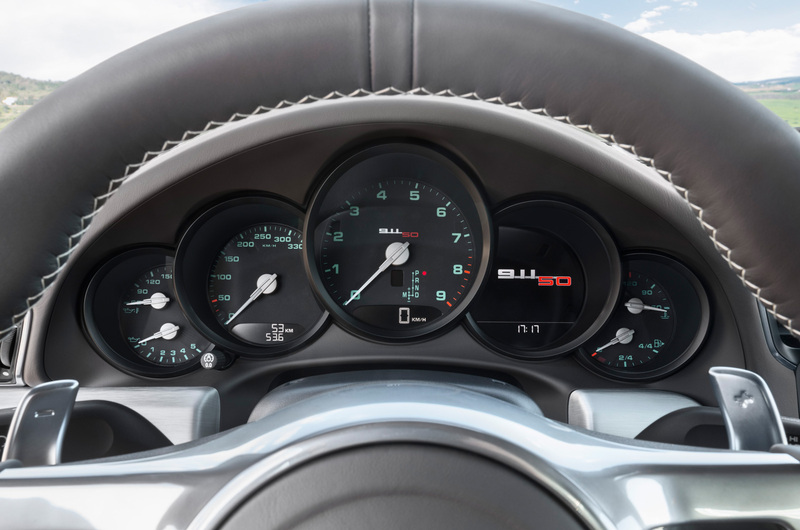 There are tributes to the original 911 in the interior as well: green labelling on the instruments with white pointer needles and silver caps on the instrument pivot pins, just like 50 years ago. Another special feature is the centre panels of the leather seats, which are designed with a fabric pattern reminiscent of the “Pepita” tartan design from the 1960s. The full-leather interior is designed in agate grey or black with decorative stitching, some in contrasting colour. 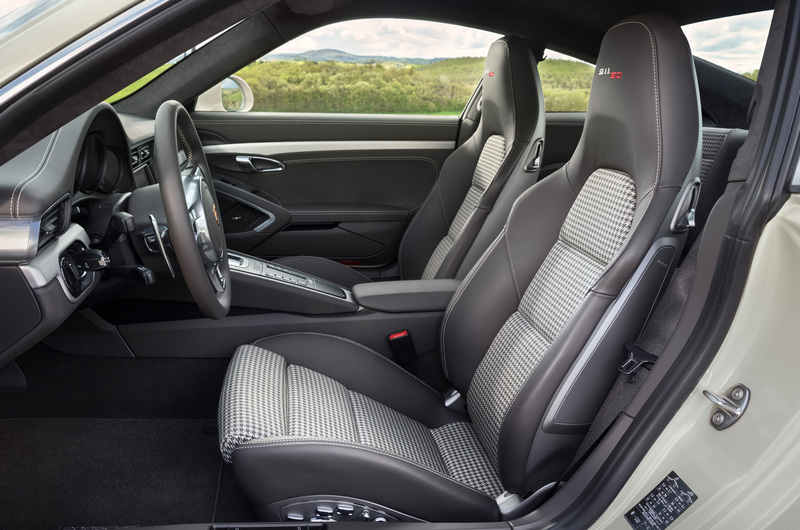 The driver and front passenger experience typical 911 driving fun in 14-way sport seats or optional 18-way sport seats plus. The gear shift or selector lever – which matches the decorative panels on the dashboard, doors and centre console in brushed aluminium – comes from the Porsche Exclusive program. The 911 50th Anniversary Edition sprints from zero to 100 km/h in 4.5 seconds (4.3 with PDK) and can reach a top speed of 300 km/h (298 with PDK). The car’s NEDC combined fuel consumption is 9.5 l/100 km (8.7 with PDK), which equates to CO2 emissions of 224 g/km (205 with PDK). 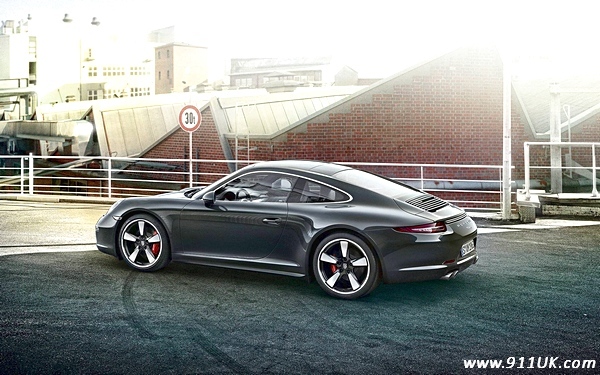 The limited edition models will be available at Porsche dealers starting September 23, 2013, and in Germany they will cost 121,119 euros including VAT and country-specific features. Love the Colour, the wheels all the retro styling which is BIG in fashion today. Might even be tempted myself! I'm normally not keen on special editions as I see them as a bit of a con - particularly if they are primarily cosmetic. However, if anything is worth commemorating, the 50th anniversary of the world's greatest car is surely it. I also do not think that the price is too outrageous. Presumably manual transmission can not be specified - even as an option. For me a mistake - that would make the car rare indeed and increase its desireability say 40 years from now when we all have gear changes coded to our brain wave patterns. Presumably manual transmission can not be specified - even as an option. It mentions the 7 speed manual transmission in the original piece. while the seat fabric is reminiscent of the original tartan design from the 1960s. Nice to see the return of the Hound's Tooth (Style 730) seat fabric. Very nice too! That's the first 991 I've seen that I've felt anything for. In fact I absolutely love it! The retro elements aren't at all kitsch; those dials are gorgeous as are the seats and wheels. The decklid grill and trim between the lights is really clever too. I want one. In that colour. Should I go for a 7 speed manual (aren't that supposed to be crap?) or a PDK? Retro or not, I'd want full leather. Lack of standard PowerKit (option?) is a missed opportunity. I dislike the almost "356" (OK, so it was on the 901 too) chromed rear grill (too fussy). I meant the top air-intake grill (complete with bizarrely anachronistic LED high-level brake light ), not the strip between the spoiler and PU. I'm going to be one of the first 911uk'ers to see it in the flesh.